This lesson is the classic 8 bar blues, "How Long" My first lesson is learning the basic song with simplest changes for guitar in A. Basically in a simple finger picking style. We concentrate on the quarter note bass string root thump while stating the melody on the top strings. Then we work on a second verse going up to second position on the top 4 string using 7ths and my favorite 9th inversion. Then in the second lesson we go to a more Kansas City version with swing 4 to the bar a la Freddie Green. in this lesson we add more chords to make the changes more interesting to play over while still keeping within what works with the traditional melody. In our next we will delve into soloing on the form and trying different approaches to soloing over the changes. Q: How and what will Duke be teaching? From Duke: I am trying to teach my lessons at Sonic Junction in a way that I would teach one on one with a student. I teach in a casual manner where you can take the lesson and post questions so you have the give and take that one gets in a private lesson or masterclass. I also encourage students to upload videos of themselves playing the piece so I can give helpful hints on what to change or compliment you on your adaptation of the lesson taught. Being a self taught musician, I have developed over the years my own approach to teaching blues and swing that very much in laymen's terms and easy to learn and understand. 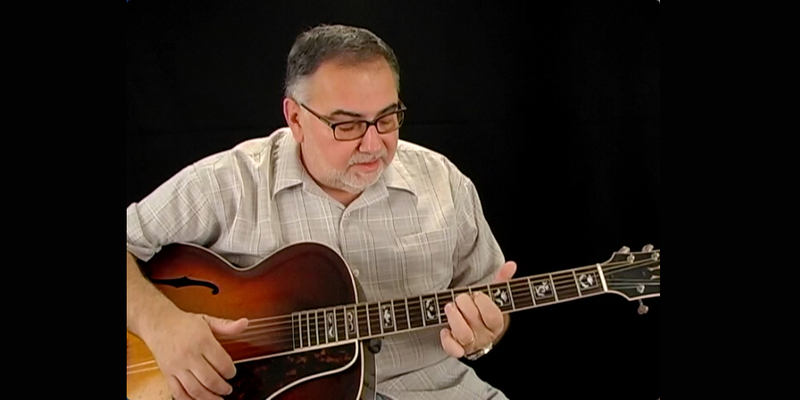 Teaching the basics of simple swing songs and the different chord variations and development from blues to basic swing is a specialty of mine. Also learning how to get the sound of classic blues artist is something I can demonstrate in easy to understand terms as I have spent my life studying and emulating the masters of blues. I will be teaching classic tunes, chord progressions, inversions, tips on building interesting solos and variations on approaches to soloing. Plus some trade secrets from my personal arsenal of licks. Each is important in isolation, and by putting all of these tools together will enable you to create your own unique voice and music.